When it comes to Hyundai auto repair service and maintenance of your Hyundai vehicle in the greater Elizabeth PA area, there is only one vehicle repair shop that offers the knowledge, experience, and factory warranty approved parts to do the job right, the first time. Elizabeth Auto Care is your go to car repair shop when it comes to taking care of your Hyundai vehicle. Over the years, we have developed a well-earned reputation for providing quick, complete, on time repairs that are fully backed by a 2 year/24,000 mile Nation Wide warranty. When you’re looking for a Hyundai mechanic, you can call or simply bring your vehicle to our Elizabeth PA car repair center for maintenance or repair. Our technicians and staff work quickly to identify and address the issues concerning your Hyundai vehicle in a professional manner. After all, we specialize in Hyundai vehicle repairs which are well known for their reliability, but like all vehicles will need important maintenance and repair from time to time. By taking care of your vehicle, you are getting the most out of your investment. We encourage you to schedule all your routine maintenance at our Elizabeth PA auto repair shop so that potential issues may be avoided. In addition, we offer full repair services in case of a breakdown or emergency so that you can get back on the road quickly. Why choose Elizabeth Auto Care Services? There are a number of reasons why the technicians, staff, and personnel at Elizabeth Auto Care provide you with the best in car repair and maintenance of your valuable vehicle. This means that the mechanic working on your Hyundai is fully qualified and certified to work on your vehicle. It takes a special effort to obtain this type of certification which means that only the best mechanic in Elizabeth Pennsylvania is taking care of your Hyundai auto repair. 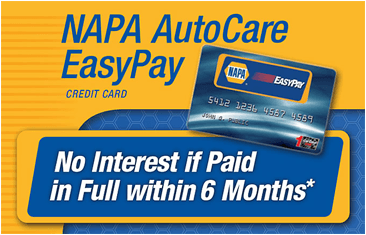 If you’re out traveling around the country and your covered Hyundai auto repair is not performing properly, it will be serviced parts and labor for free at more than 12,000 Napa Auto Care locations across the US. All you need to do is call the 800 number on the back of our invoice and you will be quickly directed to nearby help in our network. And if you can’t find your invoice, no worries; just give us a call and we’ll get you taken care of. Now that’s peace of mind! If you need a car while your Hyundai is being repaired, Elizabeth Auto Care offers a free loaner vehicle so you can get where you need to be, just ask. One of the best reasons to choose Elizabeth Auto Care is the Hyundai preventative maintenance services we provide. 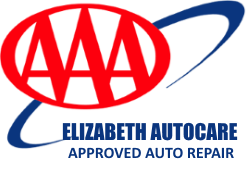 Elizabeth Auto Care is your dealership alternative because not only are we trained and experienced in servicing Hyundai vehicles, but we are authorized to work on most other makes and models. So you can feel more comfortable establishing a relationship with a local expert you can trust for all of your Hyundai cars, trucks, vans or SUV’s as well as any other brands in your household or commercial vehicle fleet. No need to drive all the way to Cochran Hyundai or even Bowser Hyundai for a mechanic and put up with an inconvenient experience and higher prices. Our auto repair shop is serving the greater Elizabeth PA area as well as McKeesport, Forward, Clairton, Jefferson Hills, Lincoln, Pleasant Hills, West Mifflin, Glassport, Finleyville, Bethel Park and the surrounding communities. If your Hyundai vehicle is in need of maintenance or repair, you can trust the professionals at Elizabeth Auto Care to do the job right at a low, competitive price. If you’re searching for friendly and qualified Hyundai Auto Repair Service in Elizabeth Pa and you live in a zip code near me such as 15037, 15047, 15018, 15135, 15045, 15133, 15083, 15025, 15123, 15122, 15236, 15129, 15332, or 15102; feel free to give us a call or stop in. We’ll be happy to listen to your concerns and deliver the correct solution that will not only fit your vehicle, but your budget as well.